Create your own story online using our ultimate story creator. 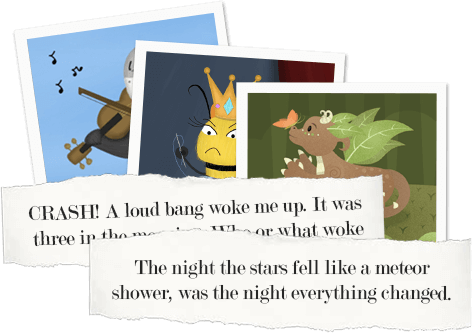 Our story creator comes with built-in story starters, artwork and more to inspire writers of all abilities! 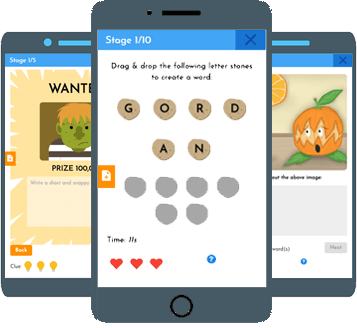 Imagine Forest offers a combination of writing activities and writing games to break down the heavy task of writing a story into small and easy to manage activities. The goal of our writing activities is to inspire aspiring writers to get that winning story idea and to even improve their writing skills in the process. Story starters are a brilliant way to fix blank page syndrome (or writer’s block). Did you know that 67% of authors say the most difficult part of writing is starting their story? We have thousands of story starters to get you writing in no time! And that’s not all, if you’re still stuck for inspiration we even have a ton of artwork to inspire you. With thousands of story combinations to keep you writing stories everyday. 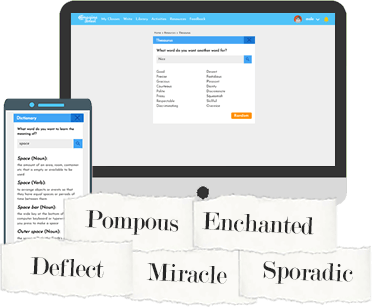 Our simple to use story idea generator comes with tons of fun and wacky prompts to inspire you. Whether you're into pirates or princesses we got writing prompts to suit every child out there. 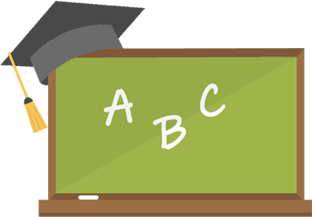 Learning new words is not only fun, but highly valuable in improving your literacy skills. Our built-in dictionary, thesaurus and rhyming dictionary are brilliant for learning new words and making your stories more exciting. Are you a teacher or an educator? Then Imagine forest is the best writing tool for you to use. 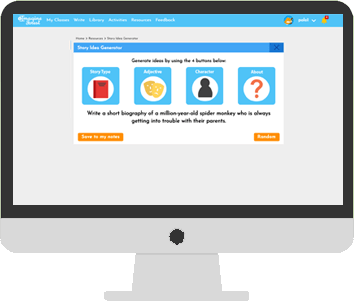 Not only is it 100% free, it has tons of features to making your lessons easy and fun. 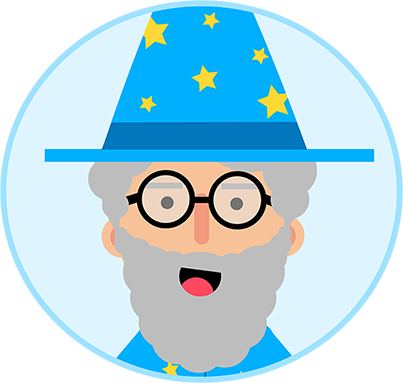 Some of these features include, creating assignments for your students, monitoring their progress and giving badges for the best stories!